Susanna Leonard Hill: Would You Read It Wednesday - The 31st Pitch, More Awards... And A Surprise!!! 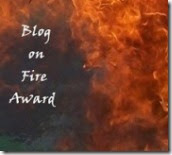 Would You Read It Wednesday - The 31st Pitch, More Awards... And A Surprise!!! Next, I want to update you on Phyllis's World Tour. Here she is, lounging in what the locals refer to as "some sort of palm tree"
sneaking suspicion she plans never to take off! Ever! Thanks to everyone who has hosted her so far. I hope she has been behaving herself! Now, before we get to Would You Read It, I have a surprise for you! Actually, it was a surprise for me, too! Yesterday afternoon, I opened an email from the lovely Donna Farrell (you all remember her from her interview, right? My multi-talented web designer?) Well! LOOK WHAT SHE MADE US!!! Anyway, I will be plastering it anywhere I can possibly get away with it, including but not limited to my blog sidebar and the Phyllis World Tour page and FB and maybe a huge one for my living room and perhaps a flag on Blueberry Hill, and you are all welcome to share it too! 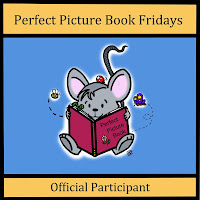 But would you kindly do me a favor if you use it and mention that the illustrations copyright is to Jeff Ebbeler and the badge was designed by Donna Farrell? Because they deserve the credit! Okay. Now we have to get down to business. Sorry, Miranda for keeping you waiting! It's time for Would You Read It, and this week's post is from the wonderful Miranda who has just returned from The Gambia! Miranda Paul is an author who began her career studying aquatic biology and other oddities. 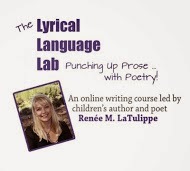 Now a mother, picture book writer, and editor, she splits her time between getting splashed by her kids, wading through revision, and drowning in submissions at Rate Your Story. 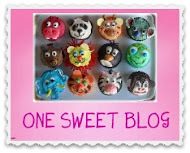 Read more at: Miranda's Website and Miranda's Blog. Miranda is looking forward to your thoughts on her pitch! I love the new Phyllis's World Tour logo. The photos are great! Miranda's pitch is pitch perfect. It grabbed me. Lots of action. And yes, I'd want to read it! Love the new badge! Adorable! Isn't it amazing? Isn't Donna amazing? I couldn't have dreamed up anything better! Thanks, Pat! I'm so glad you like it! And thank you for your comment for Miranda! (In order told) Congrats to you, Ms. Hill! Congrats Phyllis! I'll check out your travel page! 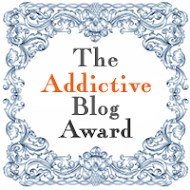 Congrats to everyone for the brillsome (combination of brilliant and awesome - word made up by author Bryan Dearsley) badge!!!! Cool badge. Yes, I would read it. Is this story a twist on Stone Soup? I'm intrigued and I love the play on words. Happy Post! I love the new badge. 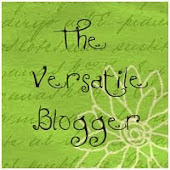 If ever I have a book published, I'm going to Donna to design my website-that's what she does! Love the pitch. Would definitely compel me to read the book. You bet I would read it...."the shellfish grow selfish" and "every creature's a crab"...how perfect is that? 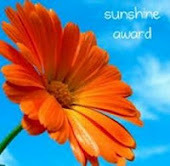 Congratulations on your well-served awards, Susanna! The badge is beautiful- so appealing! And the pitch? Well anything with clever wordplay is right down my alley. You bet I'd read it- especially if I was in a crabby mood! Blistering Barnacles, but yes, I would most certainly read Miranda's PB. What a great example for us all of an excellent pitch. I am (almost) speechless with delight at Phylli's Badge. How sweet and wonderful of Donna! Can we all post it? (once Phyllis has crossed our humble thresholds, that is). Yes, Miranda, I'd love to read this book! From the pitch, I can tell this is a book full of puns and laughs! I really like the "every creature's a crab" part! And Susanna, I love the darling badge!! Great pitch Miranda - spunky and silly! Definitely a book I would read and my kids would want over and over! Susanna, the roundness of that sweet badge is as cute as chubby baby cheeks! Love it! Oh a passport! Phyllis could carry it on all her school visits and show the children her stamps. I love the idea Donna!! Yes, Miranda, I do want to read the manuscript that goes with this pitch! It sounds fun and silly, but with a solid story underneath to hold it up. The pitch does a nice job expressing the personality of the book. Crabby creatures? I'm in! The pitch is great and the book sounds delightful. Well done, Miranda! Flipper whipper!!!!!!!!!!!! I would definitely read it! Great pitch. Yay for Miranda, yay for Reef Stew! Beautiful badge. Great job, Jeff and Donna! Can I post the Phyllis badge?? Do I wait until she comes to THE NC with THE Carolina blue sky?? Look up. Do you see it, oh Susanna? :-) Huge hugs, pal! I'll come back about the pitch. 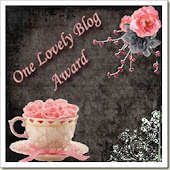 What a beautiful badge, Susanna! And Miranda...yes, yes, yes! I would love to read your book, because I love the sea...and adventure. Sounds like a winner! I absobloominglutely LOVE the World Tour logo! What a wonderful surprise. And I am impressed thoroughly by your restraint. Now. The Pitch. YES! I would read it. As soon as I read the part about the selfish shellfish, (I can't even type that correctly, I don't know how I'd ever read it out loud! ;) ) and finished chortling, I knew I'd read the book. The pitch is perhaps a little long. Would it be possible to cut out the sentence about Whale? That part may be integral to the story itself, but I think you have a strong pitch without it. The rest is perfect. Ok...so back from Africa but can't find chocolate! Does chocolate pudding count? LOL. Lots of great things going on here for you, Susanna! Congrats! I'm about to sift through any and all responses to the pitch...stomach in knots! Thanks! 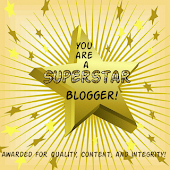 Feel free to put it on your blog, Tina - Phyllis will be along to you eventually! Glad you like it, Cathy! So glad you like the travel page and the badge, Erik! I love the word brillsome! I'm glad you like it! And I will email you! T-shirts, mugs, tote bags, pajamas... I can think of endless places where that badge would look terrific!!! Yes, chocolate pudding counts! And no knots needed! Everyone loves it so far! There haven't even been any maybes yet! 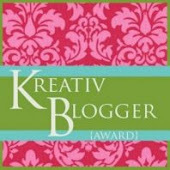 Love the badge--it's awesome! 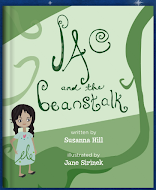 Congrats Susanna :) And yes I would read because I have always had a fascination for happenings under the sea! 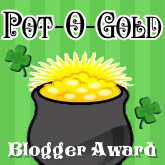 What a pretty Pot-O-Gold award, congrats on all of them! 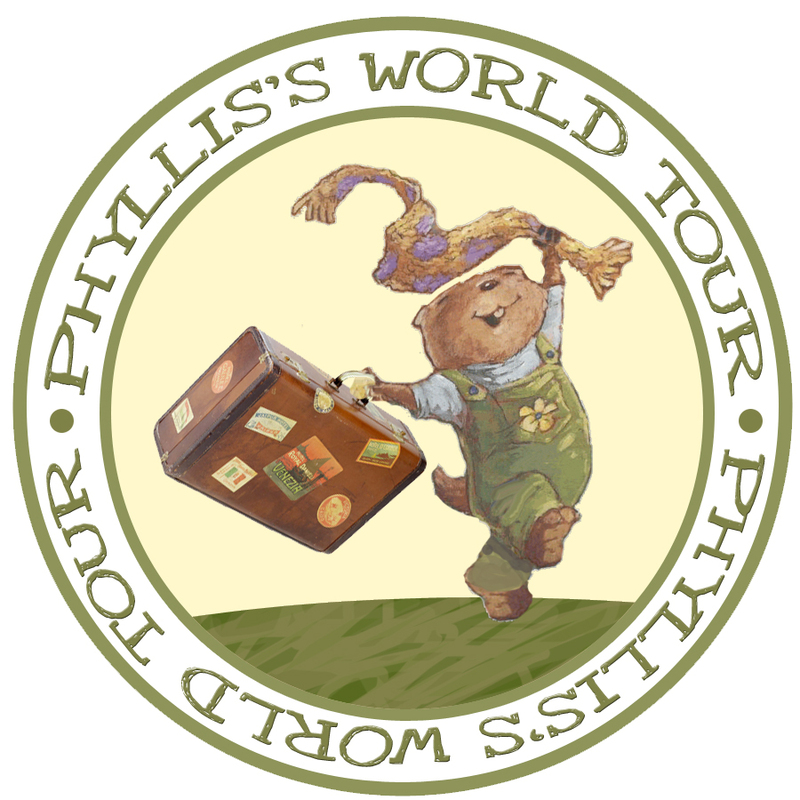 Your Phyllis world Tour badge looks adorable. As for Miranda's pitch, I would read no question. It sounds so interesting especially the selfish shellfish - love it! Gorgeous badge! I'm looking forward to hosting Phyllis -- just have to decide what to do. As for the pitch, sounds like the story will be a blast to read. So, yes, I would read it. I love all the wordplay and puns. My only comment is I want to know more about what the whale does with the coral. Or, what the classic tale is (stone soup?). I think it would help me understand what the story is about. YES - I would definitely read it. The language goes along nicely with the theme. I loved sargassum! Great creativity. How could one NOT want to read it! Wow! First, for Miranda, your pitch is dynamite. I would definitely read your book. I'm hoping to use your pitch as something to aspire to in the future. And I LOVE the Phyllis badge. I'm jumping around just like she is. Thanks, Coleen! I'm glad you like it! The pitch had me at spicy sargassum! And can I get a PWT badge to post when she gets here? The pitch had me at spicy sargassum! And can I get a PWT badge to post when she gets to the Centennial State? Julie, you are a stop on the tour! Of course you may have the badge whenever you'd like it! That's a fun sounding pitch. A great punctuation mark to a fun post. 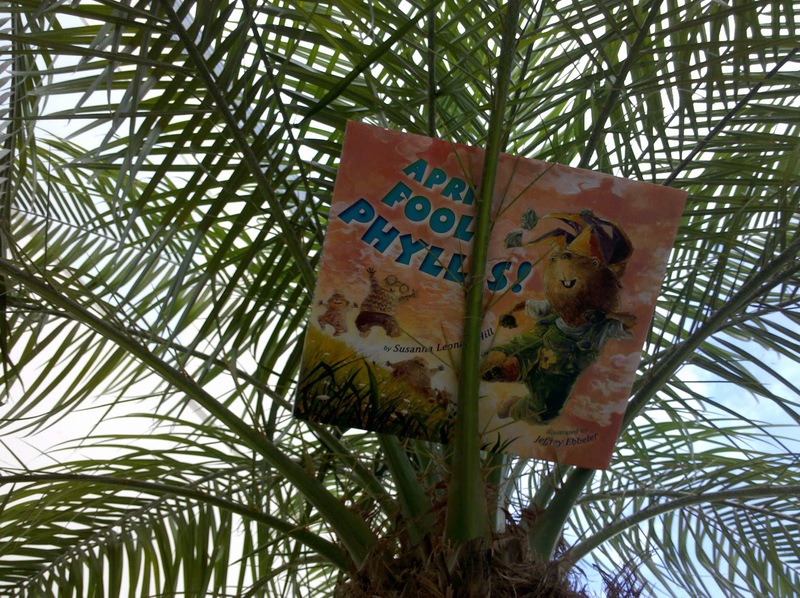 I've been reading about Phyllis' adventures. And, I love the idea of a passport mentioned in other comments. A cool idea. 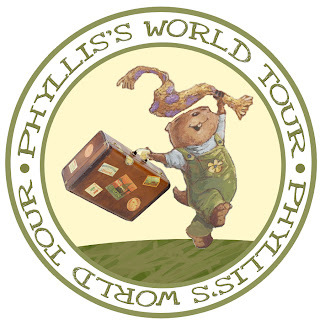 I love the badge and I think the idea of sending Phyllis on a world tour is genius. As for the pitch, I'm sorry to disagree with most of your followers and I do like the idea of the picture book but I can't help wondering if the pitch is a bit too gimmicky. It's very clever use of language but is it accurately conveying the content of the story? Thanks so much for your kind enthusiasm about the tour and the badge, Rosalind! I can't remember where in the UK you live? Would you like a visitor? 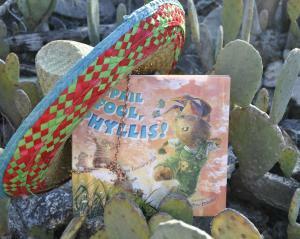 I may be sending a book that way and would LOVE someone in Scotland, Ireland or Wales to host my marmot friend! And thanks for your comment for Miranda! Miranda- Yes, I would read this. I like your use of alliteration it gives a great sense of your writing style. The pitch seems a little long. I am bit stumped as what to say about the last line. I like that you mention that it is a quirky version of a classic tale (though I must admit I am not sure what story you are referring to, but that could just be me). However, the part where you say "will send ripples ... " is cute but it feels a bit presumptuous. I haven't reviewed that many pitches, I could very well be wrong. That was just the feeling it left me with. I am sure your story has a lot of heart, would like to see that come through in the pitch, with your fun writing style. Good luck. I look forward to reading it. You may take the badge whenever you like, Darshana :) And that sounds like a fun and different time for Phyllis!! And yes, I would read Reef Stew. I'll be honest, the title might make me think twice, but her clever plays on words in the pitch would make me want to read it. I did like that you mentioned the classic tale because it made me want to find out which one. I don't recognize it from the pitch (which may be a turn off to some). I also might suggest changing the question to a statement. I've heard may editors/agents share words on that subject, but there you have to go with your gut. Susanna - I'm sure Phyllis is behaving just fine as she travels from state to state. And you may be quite right, the sombrero may never come off now. I also love that badge. How blessedly wonderful of her to do it. 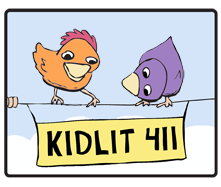 I certainly like books with funny sounds because my kids love to hear those stories over and over. 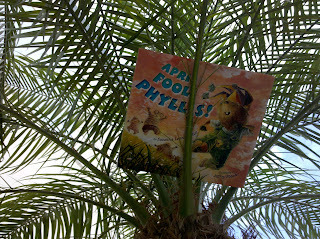 But I do tire so much of rhyming books. So I'm torn about would I read it or not. If the funny words are fun enough, then yes. The boots are pretty awesome too! Did you see those? And yes, Donna is the best!!! Thanks so much for your comments, Laura! Miranda, yes, I recognized the Stone Soup connection. And translating this into a sea story is cool. All things ocean I love and would read this based on the pitch. It seems a little long, but I am NOT the person to criticize wordiness. I fight it constantly. Don't know how you could trim it down, but it did make me want to read the tale. Great tour badge for Phyllis, Susanna. What talented art and design, Jeff and Donna! Glad you like it, Damon!